The UFC holds its second event on ESPN+ on Saturday, Feb. 2, in Fortaleza, Brazil. The headlining match-up is a showdown between top bantamweight contenders Raphael Assunção and Marlon Moraes in a rematch of their June 2017 fight from UFC 212. In the UFC 212 contest, Assunção emerged victorious in a closely contested fight that ended in a split decision. Plenty of people thought Moraes had done enough to earn the win. This rematch should decide the next contender for T.J. Dillashaw’s bantamweight belt. 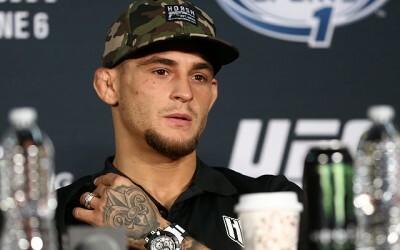 Of course, with Dillashaw suffering a knockout loss to Henry Cejudo at flyweight less than two weeks ago, an immediate rematch at 135 pounds might supersede any other title challenges. Since their first meeting, Assunção and Moraes have defeated all the other contenders the UFC put in front of them. They both have a valid claim that they have earned a title shot, only to be turned away in favor of the champion-vs.-champion fight that took place in Brooklyn for the UFC’s first ESPN+ broadcast. With a potential shot on the line, the stakes are high for this bout as both men look to impress fans in their home country of Brazil. The co-headliner pits legendary featherweight and former longtime champ José Aldo against surging contender Renato Moicano. 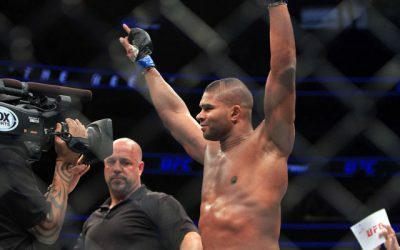 When asked why the all-time great Aldo wasn’t headlining the Brazilian fight card, UFC President Dana White revealed that Aldo had asked to take part in the co-main event rather than the main event, feeling more comfortable in a three-round contest than the five-round fight he would have been in were he to headline. Aldo is a strong starter who has faded in the late rounds of previous fights, so this decision could turn out to be a wise one as he looks to win consecutive fights after dropping back-to-back title affairs against current champion Max Holloway. 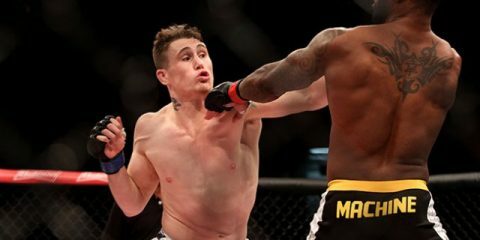 The card also features another Brazilian legend in Demian Maia, who looks to snap a three-fight skid that started with a loss in his welterweight title bid against Tyron Woodley and continued with unanimous-decision losses to top contenders and standout wrestlers Colby Covington and Kamaru Usman. Maia’s opponent in this contest is Tiger Schulmann product Lyman Good. The former Bellator welterweight champion is 2-1 since joining the UFC. He most recently knocked out Ben Saunders at UFC 230 in November. Good relies heavily on his striking background, and the story of this fight will largely be whether or not Maia can bring the fight into the grappling realm, where he is one of the most talented and accomplished Brazilian Jiu Jitsu practitioners to ever fight in MMA. If the bout stays on the feet, Good should have a clear advantage. 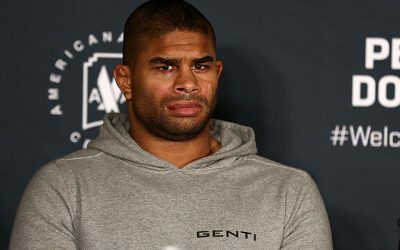 If it goes to the canvas, Maia should be able to end the fight with his suffocating submission skills. The event kicks off at 5 p.m. ET, with the preliminary card airing exclusively on ESPN+. The main card kicks off at 8 p.m. ET, also on ESPN+, from the Centro de Formação Olímpica do Nordeste. Combat Press writers Chris Huntemann and Matt Petela preview the action in this edition of Toe-to-Toe. The last time Raphael Assunção and Marlon Moraes met, Assunção walked away with the split decision for the win. What does Moraes need to do differently in order to sway this rematch in his favor? Huntemann: Oof, what a brain-teaser for my triumphant return to the wonderful world of contributing to previews for this site. I vaguely recollect watching this fight, as it was Moraes’ UFC debut after coming over from the old World Series of Fighting. Moraes was a little tentative and may have been suffering from a bit of nerves for his UFC debut, but I also remember thinking that he did enough to take a split decision. However, it was a super-close fight, so Assunção getting the win wasn’t a huge shock. Moraes has been on a tear since then. He’s won three straight against some of the toughest bantamweights around in John Dodson, Aljamain Sterling and Jimmie Rivera. His brutal knockout of Rivera should have been enough to grant him a title shot. Yet, as we all know, current bantamweight champion T.J. Dillashaw elected to try his hand at fighting as a flyweight and, well, we saw what happened there. If Moraes is to win his return bout with Assunção — which I think he does — he needs to continue to be the aggressor he has been in his last three fights and look for the finish. I’ve seen flashes of the WSOF bantamweight champion Moraes — the one who, along with Justin Gaethje, was to be feared most in that since-rebranded promotion — in these last few fights. Moraes should have had his deserved title shot against Dillashaw by now, so this fight with Assunção carries a lot of risk for him. However, with his lethal leg kicks and overall striking, Moraes will firmly cement his status as the top bantamweight contender by defeating Assunção. Petela: I, too, feel that Moraes will come away from this rematch with a clear victory. Even for someone of Moraes’ caliber and experience, the bright lights and atmosphere of the UFC held him back from being his usual, high-volume self. Once he overcame those initial struggles, Moraes quickly dispatched the aforementioned contenders Sterling and Rivera in the first round. He started fast and established himself as the superior fighter from the jump. In addition to previously sharing the cage, Assunção and Moraes have a recent opponent in common, Serra-Longo’s Sterling. They both came away victorious, but Assunção, who claimed a split verdict, won in far less convincing fashion than Moraes. While MMA math is less reliable than an ESPN+ stream, Moraes will be primed and ready to win convincingly and not leave any doubts in the minds of the fans or judges. Speaking of math: Three of Assunção’s last five decision victories have come by way of split decision. There is a case to be made that he should have lost each of those contests. What does this mean in terms of this fight? Not much, but it is interesting to see how some fighters seem to have much better luck with the judges in close fights. Former longtime UFC featherweight champion José Aldo is trying to regain his footing after losing once to Conor McGregor and twice to Max Holloway. Now, he’s tasked with taking on rising contender Renato Moicano. Will Aldo continue to rebuild with a win here, or can Moicano break into the top tier with a victory over the former kingpin? 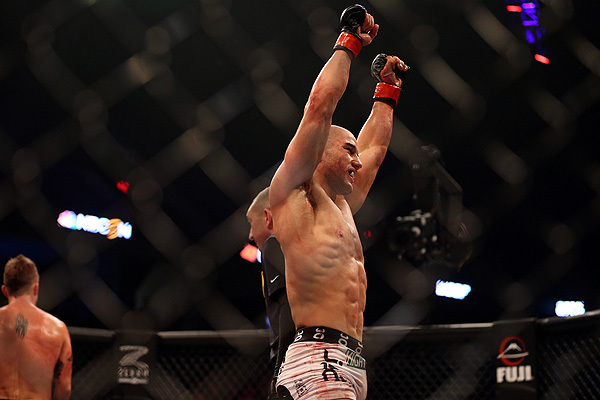 Petela: Since his devastating loss to McGregor at UFC 194 in 2015, Aldo has gone 2-2 inside the Octagon. He has picked up wins over Frankie Edgar and Jeremy Stephens, the latter by way of a thudding first-round body-shot TKO. Meanwhile, his two losses came via third-round TKO to Holloway. I don’t like this fight for Aldo. It’s not because I think he will lose, but because I don’t see the upside in a victory over the dangerous Moicano. It doesn’t put Aldo any closer to a title shot, something he isn’t likely to get as long as Holloway sits atop the featherweight division. Moicano has looked great recently, and even in his lone professional loss to the most recent title challenger, Brian Ortega, Moicano was seemingly on his way to a decision win before getting caught in a guillotine in the third frame. Since the loss, Moicano has been impressive in his unanimous decision over Calvin Kattar and his first-round rear-naked choke of perennial contender Cub Swanson. Moicano could catapult to a title shot with a victory over Aldo, whereas a loss to an all-time great should only slow his ascent toward featherweight gold. This will be a closely contested bout, and the result could hinge on Aldo’s gas tank. 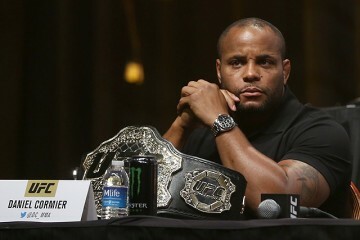 The former champ is known to come storming out of the gate, but he struggles to keep up the pace deep into fights. This contest is only three rounds, which should curtail the risk of Aldo running out of steam and allow him to pick up a win over Moicano. 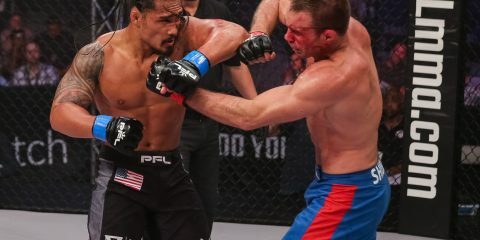 Moicano will bounce back well from the loss, though, and rattle off a string of wins in his subsequent fights after gaining the invaluable experience that only comes when a fighter shares the cage with a legend. Huntemann: I’m never afraid to admit when I’m wrong. For the longest time, I thought Aldo’s loss to McGregor broke him as a fighter. He seemed mentally defeated by McGregor’s mind games before the fight even started, and I felt that the 13-second knockout broke what was left of Aldo’s spirit. The legend just didn’t seem like the same guy who went undefeated for the better part of a decade, and Aldo’s back-to-back knockout losses to Holloway only went to support this assumption. Then Aldo fought Stephens, and he looked like the Aldo of old. His striking was crisp and precise. The body shot he delivered to Stephens was reminiscent of the old killer we had all grown to know and love. Aldo has said he only wants to fight a few more times, all in Brazil, and then call it a career. You know what? He’s earned the right to go out on his terms. Moicano has put together a great career so far, with his only loss coming to a former title challenger. His grappling and submission skills pose a threat to Aldo, but only if Moicano can get Aldo on the ground. It won’t happen, though. Instead, we’ll see more of the old Aldo, who will be sparked to victory as a result of performing in front of his Brazilian brethren. Sarah Frota, Anthony Hernandez, Taila Santos, Jairzinho Rozenstruik, Rogerio Bontorin, Geraldo de Freitas and Felipe Colares — do we need to know these names? Huntemann: Since the UFC’s flyweight division for women is still getting its legs under it and formidable challengers for its champion, Valentina Shevchenko, are in short supply at the moment, I reckon a 15-0 flyweight deserves a closer look. Taila Santos has won the vast majority of her 15 fights by stoppage, which is also notable when finishes in the lighter weight classes aren’t quite as frequent as they are in the heavier ones. It’s also noteworthy that Santos apparently had five canceled bouts leading up to her appearance on Dana White’s Tuesday Night Contender Series last summer. Could that just be a case of extreme bad luck? Or perhaps a case of her scheduled opponents not being keen on stepping into the cage with her? If it was the latter, then that added mystique of perhaps being a fighter that strikes fear in the hearts of her fellow competitors, on top of an undefeated record, definitely makes Santos a fighter to keep your eye on as the women’s flyweight division continues to grow and develop. Petela: It has been just over a year since Anthony Hernandez has fought. 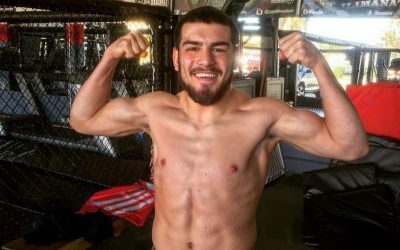 He tested positive for marijuana metabolites after running through Jordan Wright in 40 seconds on Dana White’s Tuesday Night Contender Series. That fight turned into a no-contest and is the only blemish on his otherwise perfect record. 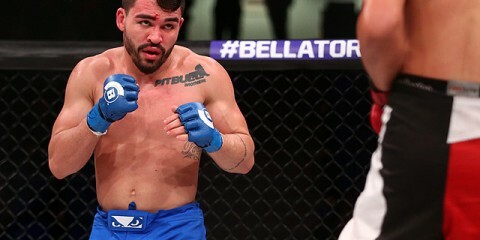 Prior to the no-contest, Hernandez won a unanimous decision over Brendan Allen to capture the Legacy Fighting Alliance middleweight championship. Hernandez takes on fellow LFA alum Markus Perez, who has struggled to a 1-2 mark since joining the UFC. His two setbacks inside the Octagon are Perez’s only two professional losses. 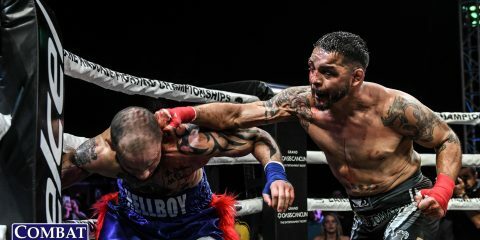 This contest should be a valuable measuring stick for Hernandez as the 25 year old looks to take the next step toward becoming one of the world’s elite at 185 pounds. 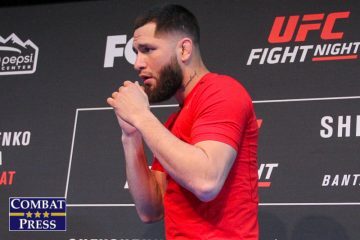 Even with only seven professional fights on his resume, Hernandez has the potential to make a climb toward the top of the UFC’s middleweight rankings. Petela: Justin Ledet and Johnny Walker. This fight could be a stinker if Ledet is able to grind out a slow-paced decision, but I expect it to end with fireworks instead. Walker mollywhopped fellow devastating striker Khalil Roundtree in November, needing less than two minutes to knock out Roundtree. Walker has scary power and likes to move forward while throwing his hands and elbows, almost with reckless abandon. He is on a seven-fight winning streak, and this fight should be number eight. Walker will hand Ledet, who won his first three Octagon appearances, his second consecutive UFC loss. Huntemann: Livia Renata Souza and Sarah Frota. This fight could definitely bring some entertaining violence. Souza was a killer in Invicta FC, where her only loss came in a terrific, hard-hitting match-up with Angela Hill. Souza also looked impressive in her UFC debut last year by choking out Alex Chambers in just over a minute. Meanwhile, Frota is making her UFC debut after collecting six finishes in her nine-fight undefeated career. What new elements from the first ESPN event do you hope to see more of moving forward? Huntemann: I’m going to be frank and say that I didn’t watch the first ESPN+ card, out of certain principled stands that I will not go into here. However, based on everything I heard and read about the event, it wasn’t that much different from the old Fox Sports 1 cards (man, it feels weird referring to that as “old”) in terms of presentation. Certain folks believe the pacing might have been a bit better than the FS1 days, when we were lucky if primetime fight cards ended much before 1 a.m. ET. As long as the UFC and ESPN do everything possible to improve the pacing of its fight cards in its new home, that’s all I can really ask for. Petela: More Trevor Wittman. His insight as a coach was under-utilized in the first ESPN+ event, but this can easily be remedied now that the UFC has an event under its belt. 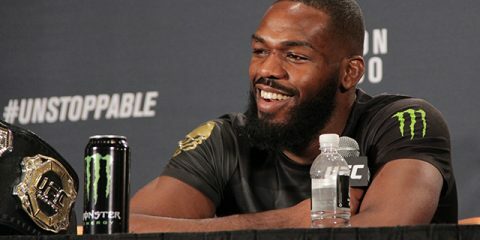 Let’s hear more of what advice he would give to fighters between rounds and what changes they need to make in order to be successful. The color commentators have a plethora of knowledge as former and current fighters, but the opinion of a coach who is accustomed to observing the action from the outside looking in is something that has been missing. Petela: Caipirinha, Brazil’s national drink. I am about as superstitious as it gets, and I genuinely believe that my actions directly impact the results of the fights. 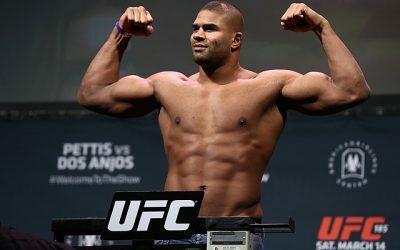 I also hate to see a card full of local fighters where the home team struggles to come away with a winning record, like when the Australian and New Zealand-based fighters — Mark Hunt, Tyson Pedro and Tai Tuivasa — lost all three of the high-profile bouts on a fight card on their home turf. So I’ll be looking to bring luck to the Brazilians by heading to the liquor store this week to pick up some Cachaca to make sure there is no shortage of drinks flowing, in case my efforts are in vain. Huntemann: A chair that forces you to sit upright and pay attention. If you decide to lounge on your couch or bed while you watch this card, you will fall asleep. It’s just bound to happen, with how the pacing of fight cards unfold. 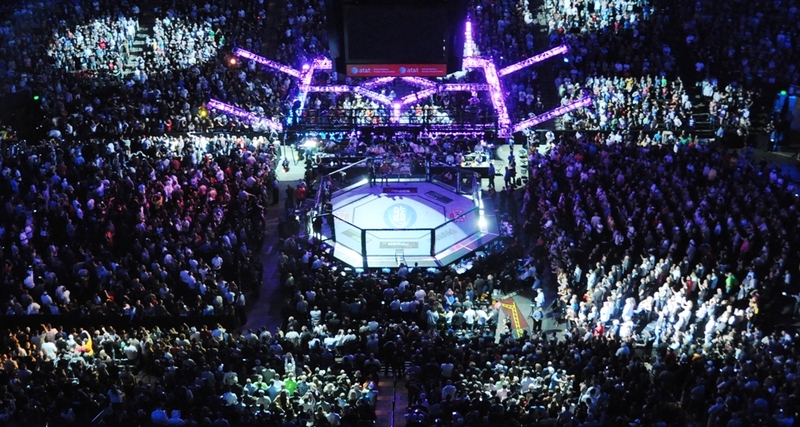 However, one area where I will give the UFC credit is that its fight cards in Brazil almost always exceed expectations and offer entertaining action. However, if you do happen to fall asleep, you will miss out on said action. So why do that to yourself? Also, if you find yourself getting sleepy while sitting in your chair, get up and do a few jumping jacks to keep that blood flowing.